I am a historian of political thought. My work focuses on international thought in the twentieth century. I have published on the idea of globalism and on various theories of world order in British and American political thought. I am also interested in geopolitics, Italian international thought and imperial history. French (can read, write, speak and understand spoken) and Italian (can read, write, speak and understand spoken). Rosenboim, O. (2017). The emergence of globalism: Visions of world order in Britain and the United States, 1939-1950. ISBN 978-0-691-16872-2. Rosenboim, O. (2018). Threads and Boundaries: Rethinking the Intellectual History of International Relations. In Guihot, N. and Schmidt, B.C. (Eds. ), Historiographical Investigations in International Relations (pp. 97–125). Palgrave Macmillan. ISBN 978-3-319-78035-1. 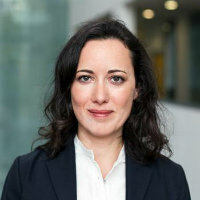 Rosenboim, (2016). Repenser l’état dans un espace devenu mondial : la pansée de Raymond Aron sur les relations internationales, 1940-1949’. In Mouric, J. (Ed. ), Raymond Aron et la défense de la Liberté Paris: Bernard de Fallois. Rosenboim, (2015). Geopolitics as radical nationalism: interpreting Ratzel in Italy, 1900-1916. Radicals, Reactionaries and Revolutionaries Palgrave. Rosenboim, (2015). Political Realism and Geopolitics in the 1940s. Il realismo politico Rubbettino Editore. Rosenboim, O. (2019). State, Power and Global Order. International Relations. Rosenboim, O. (2019). In Search of a Global Political Space. Politics, Religion and Ideology. doi:10.1080/21567689.2019.1583856 . Rosenboim, O. (2018). Amica America: Raymond Aron’s views on franco-american relations in 1945. Tocqueville Review, 39(2), pp. 35–50. doi:10.3138/ttr.39.2.35 . Rosenboim, O. (2017). Book Review: Jose Colen and Elisabeth Dutartre-Michaut (eds), The Companion to Raymond Aron. Political Studies Review, 15(1), pp. 86–87. doi:10.1177/1478929916677890 . Rosenboim, O. (2016). Book Review: Antonio Gramsci (edited and translated by Derek Boothman), A Great and Terrible World: The Pre-Prison Letters, 1908–1926. Political Studies Review, 14(4), pp. 562–562. doi:10.1177/1478929916663343 . Brighi, E. and Rosenboim, O. (2016). Realism and geopolitics in Italy during the cold war: Decline and revival. Memoria e Ricerca, 51(1), pp. 9–24. doi:10.14647/83220 . Rosenboim, (2015). An unwanted legacy: Christianity and the future of human rights. The Immanent Frame. Rosenboim, O. (2015). GEOPOLITICS AND EMPIRE: VISIONS OF REGIONAL WORLD ORDER IN THE 1940S. Modern Intellectual History, 12(2), pp. 353–381. doi:10.1017/S1479244314000547 . Rosenboim, O. (2014). Book Review: Political Theory: Reading Hayek in the 21st Century: A Critical Inquiry Into His Political Thought. Political Studies Review, 12(2), pp. 262–262. Rosenboim, O. (2014). Geopolitics and global democracy in owen lattimore's political thought. International History Review, 36(4), pp. 745–766. doi:10.1080/07075332.2013.828641 . Rosenboim, O. (2014). Barbara wootton, friedrich hayek and the debate on democratic federalism in the 1940s. International History Review, 36(5), pp. 894–918. doi:10.1080/07075332.2013.871320 . Rosenboim, O. (2014). L’Impero della Libertà. Imperialismo e internazionalismo nel pensiero liberale inglese, 1919-1936. Contemporanea, 17(1), pp. 31–58. doi:10.1409/75860 . Rosenboim, (2013). From the Private to the Public and Back Again: The International Thought of David Mitrany, 1940-1949. Les Cahiers europeennes, 2. Rosenboim, O. (2012). A whole new world: reinventing international studies for the post-Western world. Cambridge Review of International Affairs, 25(4), pp. 694–696. doi:10.1080/09557571.2012.735093 . Rosenboim, O. (2012). Book Review: International Relations: International Relations and Identity: A Dialogical Approach. Political Studies Review, 10(1), pp. 109–109. doi:10.1111/j.1478-9302.2011.00251_9.x . Rosenboim, O. (2012). International Relations and Identity: A Dialogical Approach – By Xavier Guillaume. Political Studies Review, 10(1), pp. 109–109. Rosenboim, O. (2011). Political spaces and global war. CAMBRIDGE REVIEW OF INTERNATIONAL AFFAIRS, 24(2), pp. 300–301. Rosenboim, O. The Value of Space: Geopolitics, Geography and the American Search for International Theory in the 1950s. The International History Review.